Dr. Christopher Bray MD PhD: Was Linus Pauling Right About Vitamin C's Powers After All? 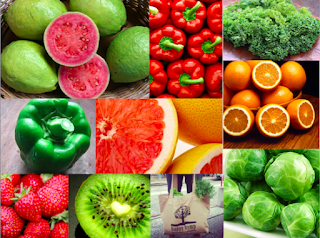 Was Linus Pauling Right About Vitamin C's Powers After All? While most animals have the ability to produce vitamin C internally, three species cannot. Guinea pigs, primates, and humans must obtain their vitamin C from their diet. Vitamin C has numerous functions in the human body,1 including acting as an essential cofactor in enzymatic reactions. In this way, it plays a role in your body's production of collagen, carnitine (which helps your body turn fat into energy), and catecholamines (hormones made by your adrenal glands). Vitamin C is also used by your body for wound healing, repairing, and maintaining the health of your bones and teeth, and plays a role in helping your body absorb iron. A powerful antioxidant, vitamin C also helps prevent damage caused by free radicals. Over time, free radical damage may accelerate aging and contribute to the development of heart disease and other health conditions. It's through this antioxidant effect that it's thought vitamin C may play a role in protecting heart health.